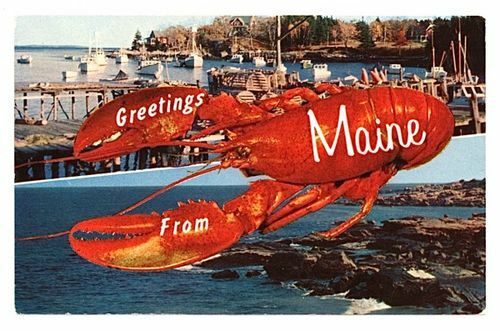 If all has gone according to plan, I am currently in Maine, land of lobsters, blueberries and beautiful rocky coastal beaches. I understand that the state also offers opportunities for whale and puffin watching, but I think I'll put a pin in those two activities. Instead, perhaps, I'll choose to ruin my manicure by going on a clam digging expedition on the shoreline. Well, we'll see what happens on the clam front, but I can assure you that lobster and blueberries are a must! Promise a full report when I return.